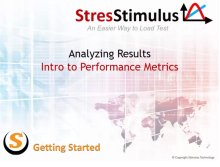 Watch five 2-4 minute introductory videos to learn how to run a simple load test from start to finish and analyze the website's performance. 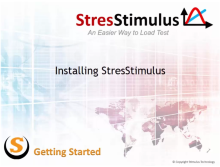 Install StresStimulus in two minutes. 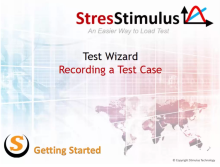 Learn how to record a test case and annotate transactions using Test Wizard. Learn how to configure the recorded test case and get ready for performance testing using the wizard. 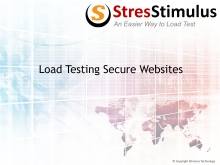 Learn how to start the load test and monitor key performance indicators of a website under the test. 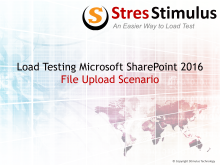 Learn how to analyze test results and how to determine the number of users your website can handle. 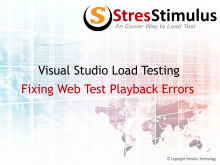 Each of these mini-videos explain how to perform a specific load testing task or address a specific performance testing question. Learn how to test a website with multiple user logins. When Form authentication is used, follow a simple process to add multiple credentials. 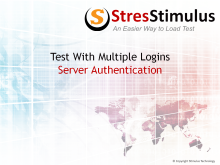 Learn how to test the performance of a web application with multiple logins with Server authentication. Follow a simple process to add user credentials to the test wizard. 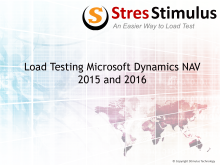 Learn how to test the performance of Microsoft Dynamics NAV by recording any user scenario and correlating a load test without writing a single line of script. Watch how to record a Microsoft Dynamics CRM performance testing scenario and run a load test with emulated data without coding.